Hear from some of our residents, guests, and families about their experiences with Generations at Regency. The facility is very clean and kept well. The staff is very helpful. It is a very pleasant atmosphere and environment. The therapy is good. It is my second time here and I am happy that they arranged for me to have the same room assigned. I have been in and out of Generations at Regency for the past year. I have found it to be a pleasant experience. The staff is attentive and the nurses and CNAs are professional and caring. I am impressed with the cleanliness of the facility every day. My therapy sessions have been productive. I have made a lot of progress. I’m sure that will help me once I go home. Also, I am a dialysis patient. The staff there has been great and attentive to a good treatment. Overall, Generations at Regency has been a good experience. I would recommend them to someone needing such care. I am thankful to all the people here. But, I consider Jinny, Natalie, and Mira the best of nurses. They are responsible, attentive, and kind. I am thankful to both Anna K. and Carmen for their attitude and respect. I am writing this note to inform you of the outstanding efforts of a Generations at Regency staff member: Natalie, an RN on the 4th floor. I could give you numberous examples of the professionalism and compassion that my family has experienced from her. Last week, while I was visiting my mother, Antoinette, Natalie took time from her busy day to give me a one on one detailed summary of my mother’s status. That was much appreciated. 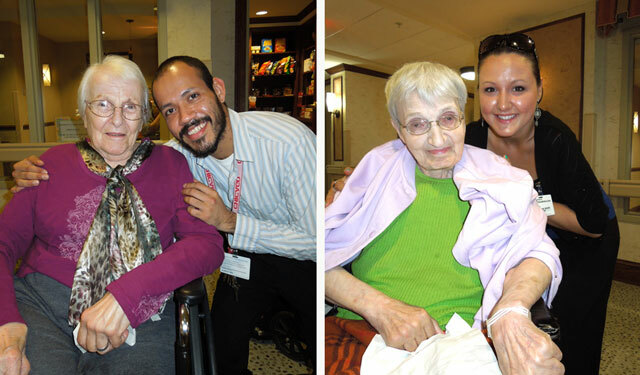 Regency can be proud of Natalie and the exemplary care she provides to the neediest residents. We appreciate the quality care you all gave to our aunt Dolores while she resided at your facility. And a special thank you to the 3rd floor staff.